Standard replacement nozzles to fit most cartridges. Spare Cartridge Nozzle (6 Pack) is rated 4.9 out of 5 by 17. Rated 5 out of 5 by Gdad from Good idea Wasted so much silicon because of solidified nozzles, so I always keep a packet of these at hand. Rated 5 out of 5 by Engineer DIYing from A nozzle is a nozzle At the end of the day a nozzle is a nozzlle, so whilst these are no better or worse than any other standard nozzle they are extremely well priced, orderable on line and available virtuallly instantly. At this price disposable rather than the rigmarole of capping and cleaning. Rated 5 out of 5 by Shinytop from No brainer! 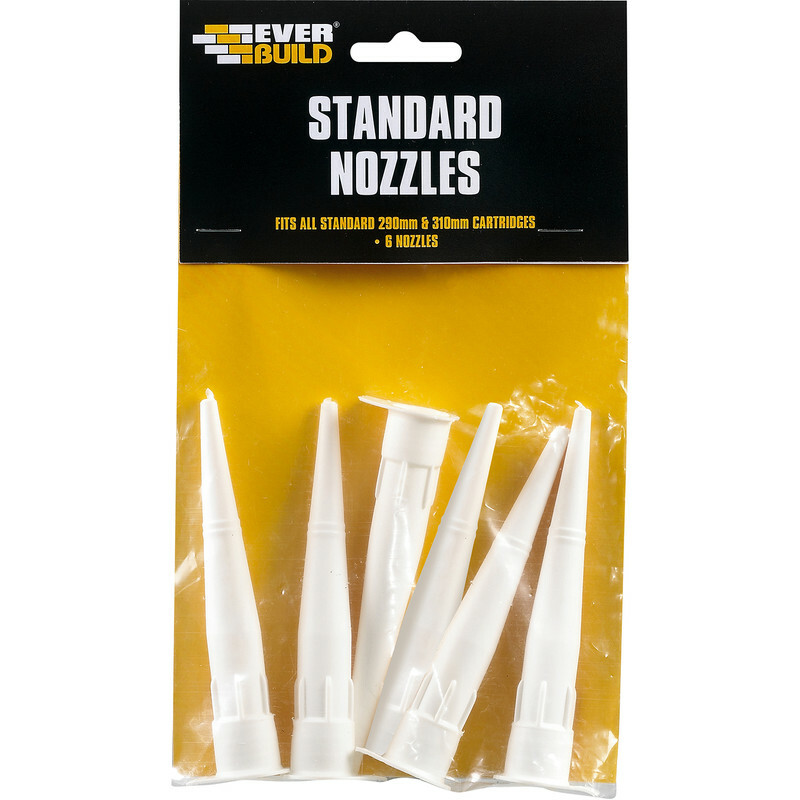 Get these and forget about trying to clear out the old nozzle or wrapping it in tape or even cling film, at this price I got 3 packs, happy man. Rated 5 out of 5 by tuksumdoin2 from easier to change better to change nozzle and quicker for cleaner finished job. bargain for the price. easy to cut for required size of sealent.